The words “dental” and “surgery” are two words that most of us would like to avoid. But if you have missing teeth, you might not be able to enjoy meals out with your friends and family or you might worry about flashing your smile. Missing teeth literally takes a bite out of your self-confidence and your overall quality of life, so let’s talk about dental implants. Charles Dennis, DMD, at Abington Center for Family & Cosmetic Dentistry specializes in dental implants to help patients restore their smile and get back to living a full life without the embarrassment of missing teeth. 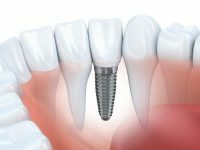 About now you’re probably thinking that dental implants may be a more permanent alternative to dentures, but you’re wondering if the procedure painful. Dr. Dennis offers you these insights on the procedure process to help you evaluate whether dental implants are right for you. Dental implants are basically custom-made artificial teeth that look like and act like your own natural teeth. 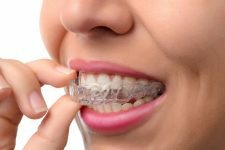 Since they’re permanently placed in your jawbone, you don’t have to worry about the slipping and sliding issues that some people have with dentures. With dental implants, you can enjoy all of your favorite foods and not be so self-conscious when you’re in public. They look so natural that no one will know they aren’t your own teeth unless you tell them. 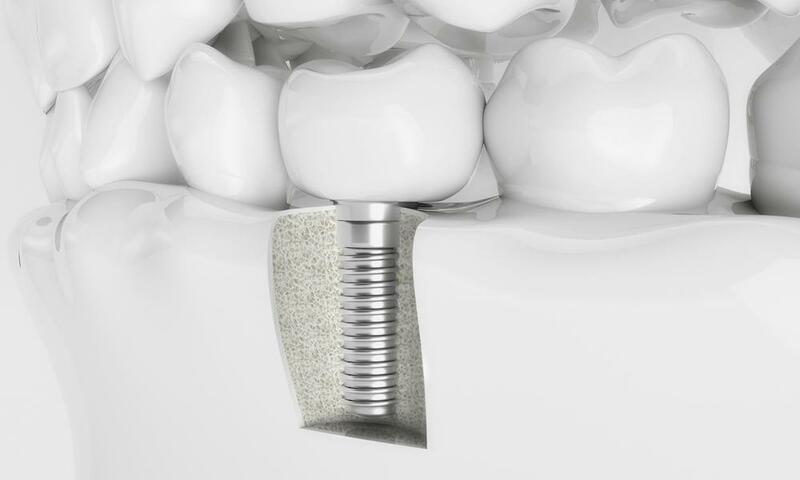 The entire process of getting dental implants happens in three major steps over the course of several months. During every step of the way, Dr. Dennis provides the proper anesthesia to make you comfortable during your appointments and over-the-counter or prescription medications in-between appointments if needed. Although getting dental implants is a longer and more in-depth process than filling a cavity, the pain management process is no different. 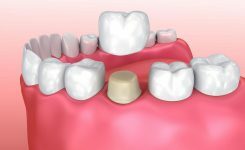 This is how the process plays out: during the first step, Dr. Dennis secures a titanium post to your jawbone for each missing tooth. He secures the gum over the implant where it heals for the next 3-6 months. During this time, the implant fuses with the bone. Next, Dr. Dennis attaches a post, which will ultimately hold an artificial tooth. He then mills a crown for each missing tooth. Once the crowns are finished, he attaches them to each post. Healing is the key to allowing your dental implants to become part of your jawbone as if they were there all along. During the healing time, your gums and jawbone adapt to the implants. Remarkably, the dental implants fuse to your jawbone. Although six months may seem like a long time, think of the healing time as a long-term investment in a lifetime of smiles, improved self-esteem, and enjoyable meals.